Sitting All Day is Killing Us—Could a Bicycle Desk Be a Life-saver? 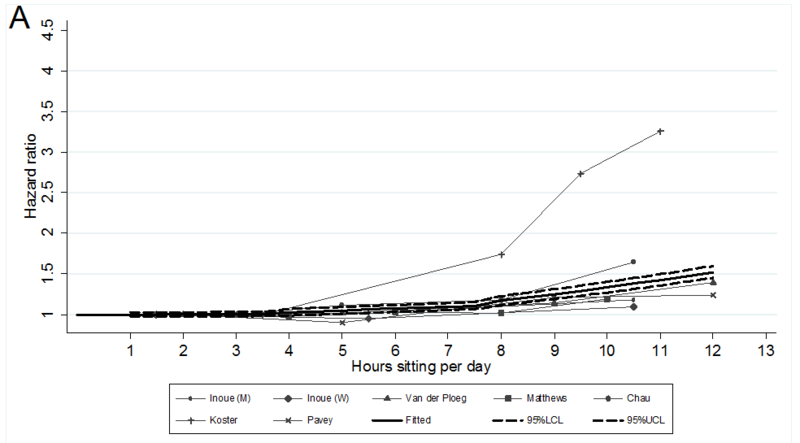 Sitting all day is bad for our health. So why don't we introduce a little exercise? How about riding a bike while doing all the paper work? We have all heard the expression that work is like a treadmill – once you get on it, it is difficult to get off. But what if that daily routine not only helped earn your wages and pay your bills, but could also keep you fit and healthy by turning your desk into a real treadmill or stationary bicycle, so that you could stay active and even burn off a few calories? The notion of a desk that lets you stand or walk – as well as work – has been around for a while and has enjoyed a boom in the United States, where celebrities from Victoria Beckham, the pop singer turned clothes designer, to Joanna Coles, head of content for publisher Hearst, are among those who have extolled their benefits. Bike pedal kits that you can install under your desk have also been around for a few years. But now they have been joined by a desk that boasts a built-in exercise bike and which – at about $500 – is in the same spending category as the most ergonomic office chairs, and is priced competitively compared with treadmill desks, which can cost up to $3,000. 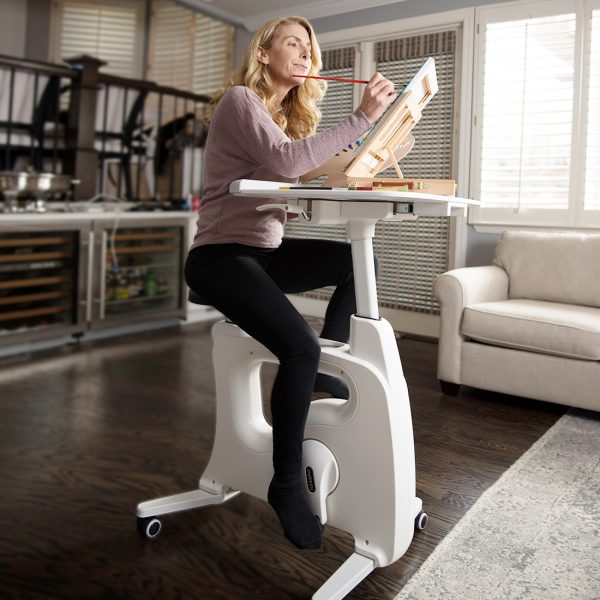 Designed by a company called FlexiSpot, which specializes in stand-up desks, the Desk Exercise bike is part of a growing trend in workplaces around the world to encourage healthier lifestyles. This movement can be seen in everything from encouraging better work-life balance for employees, to stand-up meetings designed to reduce the amount of time spent sitting, to furniture that promotes healthier lifestyles. While the idea may have started as a bit of a health craze among stay-at-home creatives and senior executives, some companies have been keen to embrace the exercise-while-you-work ideology: for instance, according to furniture maker Rebel Desk, its treadmill desks are used by organizations including Microsoft, MIT and Stanford University. Many killer diseases are linked with inactivity. While life expectancies for many people around the world have increased, as populations shift from labouring occupations to more desk-bound “knowledge-based” pursuits, so illnesses including obesity, diabetes and heart disease have increased. According to a research project jointly run by the Trust for America’s Health and the Robert Wood Johnson Foundation, obesity is one of the biggest causes of preventable chronic diseases and healthcare costs in the US, which it estimates ranges from $147 billion to about $210 billion per year. Additionally, the research found that the healthcare costs for severely or morbidly obese adults per head are 81% higher than for healthy weight adults, while moderately obese people are more than twice as likely as healthy weight individuals to be prescribed prescription drugs. 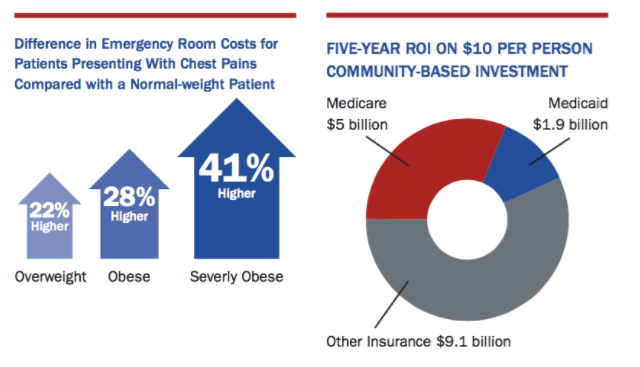 “Costs for patients presenting at emergency rooms with chest pains are 41% higher for severely obese patients, 28% higher for obese patients and 22% higher for overweight patients than for healthy weight patients,” it adds. 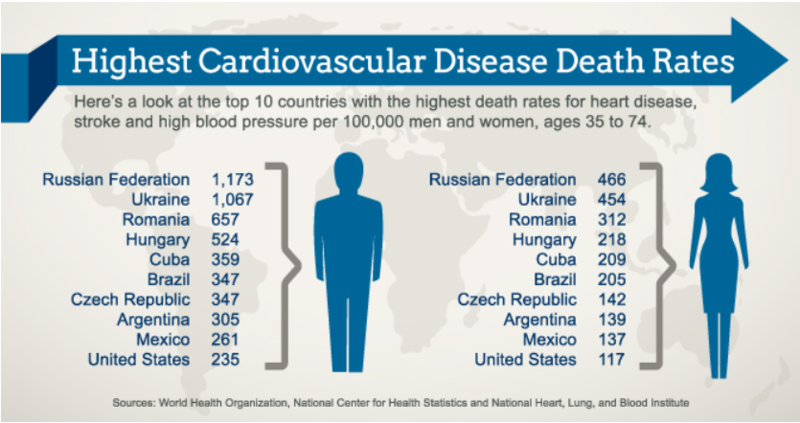 Heart disease is the biggest killer disease in the world, with the World Health Organization estimating that 17.7 million people died from cardiovascular disease in 2015, 31% of deaths globally. Additionally, a previous study has linked workplace stress to high obesity rates, with researchers finding that even diets high in fruit and vegetables did little to help with chronic employee weight gain. “Exercise seemed to be the key to managing stress and keeping a healthy weight,” the study said. As today’s workers are likely to be in employment for far longer than previous generations, and considering the increasing health costs that weigh on employers, individuals and governments, perhaps it is time more executive-level thought was put into how to get more of us on a treadmill. ♦ Taiwan vs. Vietnam: Who Treats Workers Better? ♦ Sitting all day is killing us. Could a bicycle desk be a life-saver?